Twin Bays Stable is located on Great Island in Darien, Conn. surrounded by the Long Island Sound. 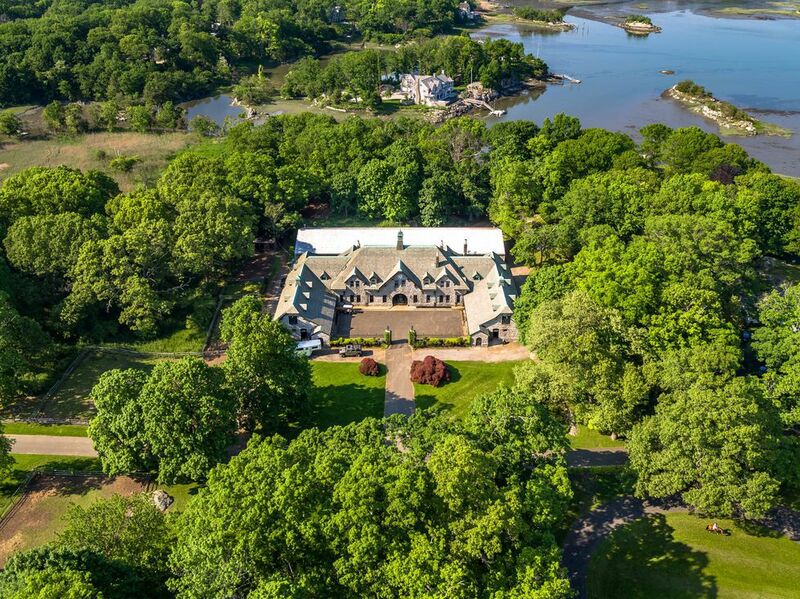 The iconic 25-acre private equestrian property belonged to the late William “Bill” Steinkraus, a pioneer in the show jumping realm and five-time Olympian. Owned and operated by Kim Mulligan, a professional with more than 30 years of experience, Twin Bays Stable offers an 18 stall barn inside a stunning stone building with an attached 60′ x 175′ indoor heated ring and new footing. In the spring, summer and fall, riders practice outside on grass jumping fields — perfect for competition on the same terrain. Also part of the facility is an outdoor sand ring with new footing and an exercise track that encompasses the grass field. On hack days, riders can enjoy several trails that lead through woods and down to the shoreline, or across the causeway. Great Island’s residents all know to drive slowly and watch for animals large and small. - 60′ x 175′ indoor heated ring with new footing. - Grass jumping field and exercise track. - Outdoor wash stalls with hot and cold water. - Two heated tack rooms with ample space for saddles, bridles and tack trunks. - Marked trails for hack days, some with shoreline access. - Located minutes from I-95 and the Merritt Parkway. - Barn manager Rory Gallagher lives onsite.